Home / Florious / It's Finally Spring! Learn About Some of our Favorite Flowers This Season With our Head Florist, Melissa McCaughey! It's Finally Spring! Learn About Some of our Favorite Flowers This Season With our Head Florist, Melissa McCaughey! 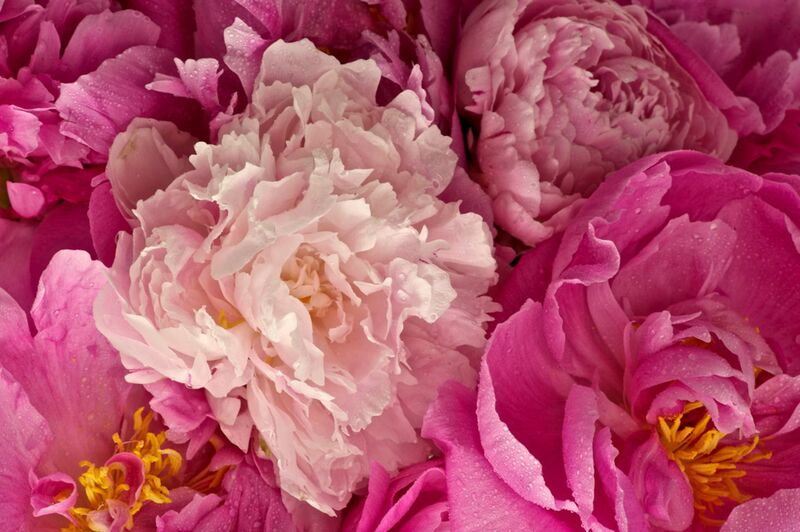 What's not to love about a peony? The shape, the scent, the colors and textures- I wish I had them all year! As May approaches, we start to get them locally, which is fabulous! My favorite are the bubblegum pink, but there really isn't a peony color that I don't like! And you really can use them anywhere- they're perfect for your bridal bouquet or bedroom, bookshelves or bathroom. These little flowers really pack a lot of punch in arrangement, and the colors and ruffly petals help make them one of my (and our customers') favorites. Ranunculus come in a few varieties- there are pom pon, the very ruffly ones with plenty of green in the petals, clooney, which have very large heads and soft petals, and then my favorite, romance. Romance are the best of all worlds, in my opinion. They have large but sturdy blossoms so that they last in an arrangement but still come in great colors! We usually get our ranunculus from Holland or Italy. So tiny, so cute, and yet still so fragrant! Muscari are in the same family as hyacinth, and I love adding a touch of them to our spring bouquets. Hydrangea is probably my favorite flower to pair with them. There's something about the juxtaposition of the tiny, delicate flowers against the large, fluffy hydrangeas that I think is really beautiful. We usually get our muscari from Holland. I love the texture and movement that sweet pea brings to a bouquet, and the scent doesn't hurt, either! I love mixing sweet pea with roses and hydrangea to add a delicate touch to a bouquet, and the lavender sweet pea are my favorite. Last but not least, lilac is probably my favorite spring flower. I love the colors, the shapes and the scent, and the fact that lilac is around for such a short time makes it even more special! We get our lilac from the eastern seaboard when it's the season- starting in Virginia and moving up the coast as far as Vermont when the weather warms up. So there you have it! Some of my favorite spring flowers celebrating the colors, textures, shapes and scents of the season! It may be a little early right now for some of the flowers above, but keep an eye on our seasonal bouquet selection for them. You can also order a designer's choice bouquet, and the chances of me putting one of them in it are pretty high this season! Check out a designer's choice bouquet coming together below!